At first glance, a 1-1 draw against your bitter rivals is a satisfactory result. This was in stark contrast to the end of the game when Arsenal’s opponents, despite being in control of the majority of the game, were utilising all manner of timewasting techniques in order to salvage a point. There again was a disparity in emotions at half time, when if any Gooners were asked if they would take a point, they would have snapped up the offer. Tottenham bossed the first forty-five minutes and there was little for any home fans to latch onto to boost optimism. I was in attendance in the Upper East Stand and the half time whistle brought with it only dismay. The day started with a trip to Piebury Corner. 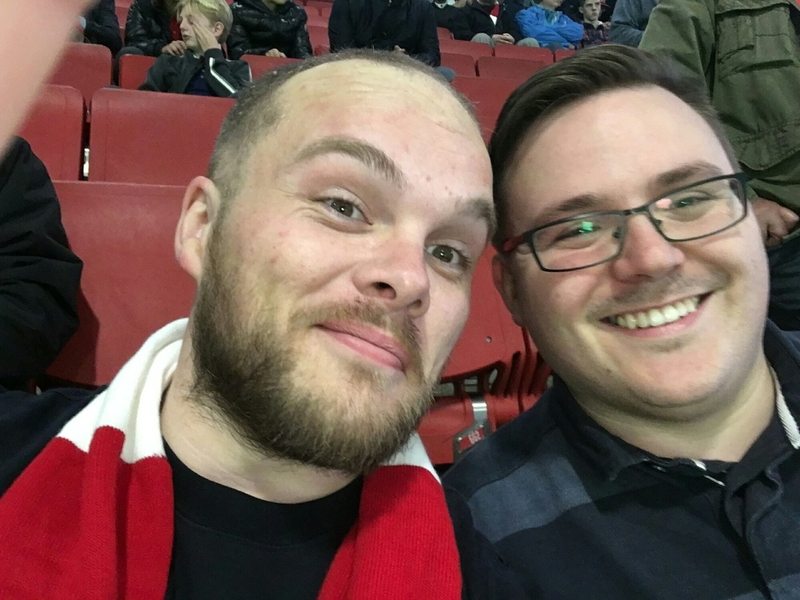 I met up with a good friend of mine and Goonersphere cohort – Daniel Cowan. I implore any fan making a pilgrimage to The Emirates to make their way to Holloway Road and sample the culinary delights of this fine restaurant. Not only this, but the Arsenal memorabilia and sizzling tunes make this the perfect warm up to a match. After filling up on pastry and gravy, we had a quick drink at The Tollington pub before finally taking our seats in the Upper East Stand. 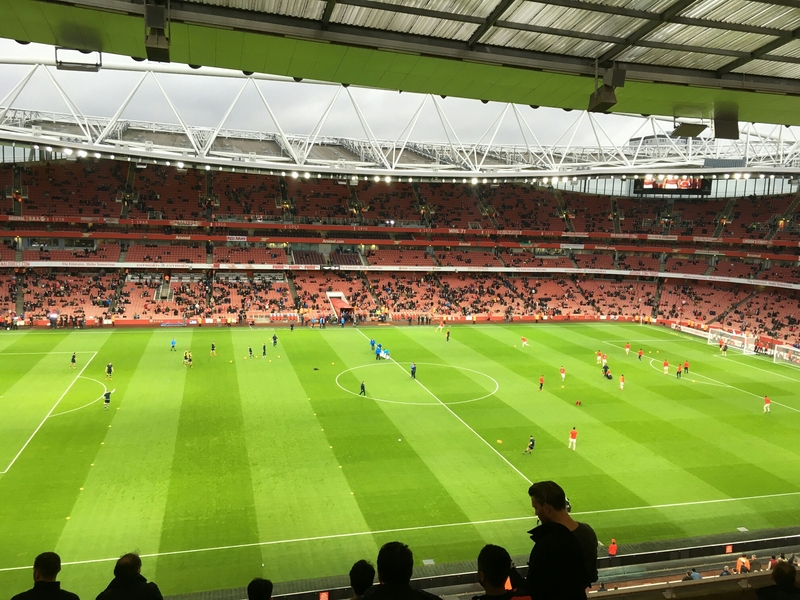 I normally sit in the North Bank or Clock End, so the expansive view I was presented with was something of a pleasant surprise. The line up was no surprise to any Arsenal fan, seeing as the amount of injuries our side have on the books mean that Arsene Wenger’s hands are somewhat restricted in terms of team choices. A welcome return though, was in the form of Laurent Koscielny. The Remembrance Day tribute was well held and poignant, and after this had taken place, the referee started the game. From the off, our neighbours were bright. The passing game that Mauricio Pochettino has employed was in full effect and it was clamping down on any creativity that Arsenal tried to muster. Tottenham’s midfield in particular, were effective in giving no space, with Delle Ali a highlight for them. Regardless of this, they lacked incisiveness and our defence were relatively untroubled. It was tense, it was niggly, but neither team could complain of feeling unjust about the scoreline. In my own inimitable style, I tried to gee up the troops and the fans around us with a rousing rendition of ” Stand Up If You Hate Tottenham “. This failed miserably. The atmosphere, in the stand Daniel and I were present in especially, was devoid of any raucous fans that a North London Derby should have in attendance and the Spurs fans, nevermind that they weren’t especially loud themselves, could be heard loud and clear. It didn’t stop Daniel and I singing so loudly that our voices could be used to advertise gravel. Then, an innocuous looking ball from Danny Rose sprang an Arsenal offside trap that hadn’t been laid properly. Laurent Koscielny was playing Harry Kane onside and he duly rushed toward goal before slotting past Petr Cech. 1-0, and the cheers and songs from the spurs fans grew louder. A goal from the opposition normally sparks the Gunners into action, but Tottenham comfortably saw out the remaining time until the match official blew for half time. o Monreal was imperious in his position. Other than this, there was little to find in terms of salutations toward our players. The second half saw Arsene Wenger make a half time change, with Santi Cazorla being replaced by Mathieu Flamini. This seemed to shore up a gap between defence and midfield that was present in the first half and the space afforded to Ali, Eriksen and co was not to be found. Arsenal had woken up and Joel Campbell tested Hugo Loris with a curler to send a signal of intent. The crowd also responded to the threat that the Gunners began to pose and Ozil laid on a couple of chances for Olivier Giroud, who had been stymied thus far – only receiving the ball with his back to goal prior to the opportunities – but his headed efforts hit the bar and rolled wide. We were getting closer, and spurs knew it. Finally, the emotional turmoil that runs in conjunction with a possible loss to a nemesis ended, but through a remarkable avenue. Kieran Gibbs had just replaced Joel Campbell when he tried his luck with a run into the box. Mesut Ozil and his trusty vision spotted the Englishman’s blaze toward the back post and Gibbs despatched it past Hugo Loris. The release that came with the goal could have been utilised by the military, such was its potency. My vocal chords still burn, but celebrating that goal was a watershed of sorts. The team threw everything into grabbing a winner, and if the game had wore on for just another five minutes, then I feel confident in predicting a winner would’ve been obtained. In terms of player ratings, only Debuchy and Monreal could claim to have been fully effective throughout. 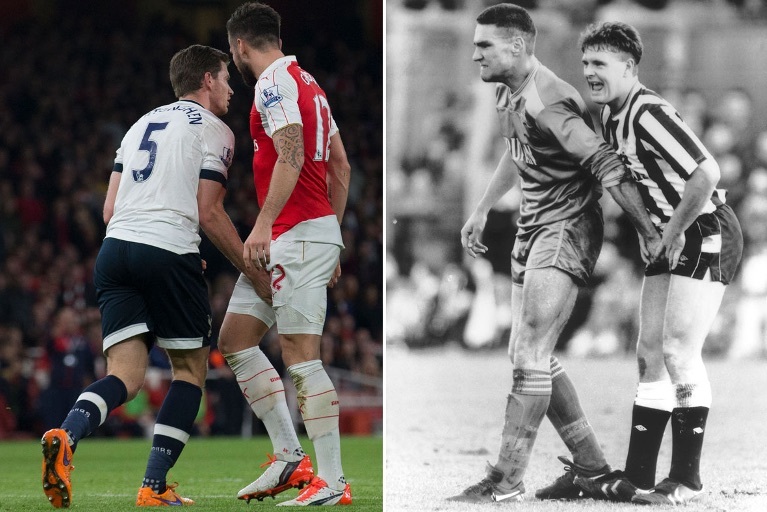 Sanchez was anonymous, Giroud was snuffed out and Campbell was tidy but unspectacular. Mesut Ozil though, was jeered by some fans within earshot. Why? He was perceived to be lightweight and ineffective, but even though this was far from his best game, he created history with his assist for Gibbs – he is the first player to register an assist in six consecutive games. He also covered more ground than any of his teammates. It wasn’t a bad game from Ozil, just that Tottenham had their game plan work rather well. Tottenham clung on in the end, but their first half performance deserved a point for their efforts. The pertinent point after watching the game though, is that Mauricio Pochettino had Spurs playing the best football they’ve played against us for quite some time. Throw into the mix the amount of injuries we’ve incurred and the 5-1 thumping we received midweek and the circumstances should’ve pointed favourably toward Tottenham. The fact that Spurs failed to hold on to the three points even with all variables pointing firmly in their favour speaks volumes. They have a strong squad, they can play teams off the pitch – their humbling of Manchester City is testament of this – but can anyone say with any confidence they will improve their league position? No. I left the stadium initially with a feeling of injustice, but once I had time to think of the extenuating circumstances that led to this result, I felt a little optimism. The international break is now upon us, which should see some players return to fitness, like Ramsey, Bellerin and Chamberlain. We are second and only separated from top spot in the league by goal difference and we have stopped spurs winning at our home ground for twenty two years. All in all, it could’ve been a lot worse. It should have been 2 or 3 before Arsenal got into the game. In the end they hung on but as a neutral they were better and had played 3 games in 6 days without complaint. Stopped Spurs winning at your ground for 22 years? I think it’s more like 5 years. You are right! I took this stat from a bad source!